Initially, it can be noted that this combination of anabolic steroid with fat burner is not very popular. First of all, it affects not a lot of information about such a course. Not all athletes, and especially newcomers put the safety of drugs in priority, often the benchmark is kept to the maximum result for the minimum price. This erroneous opinion formed the wrong direction in today's field of sports pharmacology. The proposed course Boldenon and Clenbuterol are safely classified as safe, because Equipoise has always been considered a mild injectable steroid without side effects. Well, Clenbuterol generally does not belong to the field of anabolic steroids and it is often used as a normal fat burner. Therefore, if you choose a safe course that does not crush your hormonal system and does not provoke pobochki, then consider the proposed option. This combination of oral and injectable drug, more aimed at obtaining the effect of drying with a small increase in strength and quality musculature. Not all of us look perfect and very many athletes want to remove a few extra pounds, and in return to highlight the beautiful muscles. Boldenon with Clenbuterol in the course according to the reviews of athletes, is a fairly effective choice. Using such drugs on the course length in a month and a half, you can get quite noticeable results. The average values ​​for fat loss are about 3 - 5 kg. 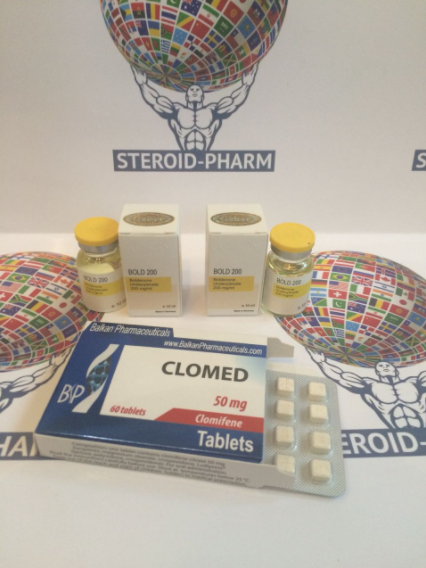 Admission course Boldenon + Clenbuterol is designed for a total body weight of 80 - 100 kg. Dosages are selected closer to the average. The first week involves the administration of 1 ml. Boldenon on Wednesday, strictly intramuscularly in the gluteus muscle. The next 6 weeks of the course we put 1 ml. three times a week Monday - Wednesday - Friday. And the last 8 weeks, like the first, put 1 ml. on Wednesday. 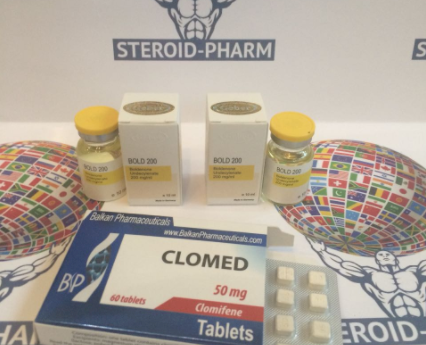 Clenbuterol is used orally for fat burning and retaining results after a course of anabolic drugs, or together. It takes 2 weeks and between meals for 2 weeks of rest so that the body does not get used to it. Often, athletes do not resort to breaks in 2 weeks, and they build a flat background for 100 tab. Eight days to 3 tablets. in a day. After that, make a break in 2 weeks and continue on the specified scheme all exactly, just to the end. Boldenon is taken according to its scheme, regardless of the second drug. The course includes drugs: Boldenon 20 ml. + Clenbuterol 100 tab.